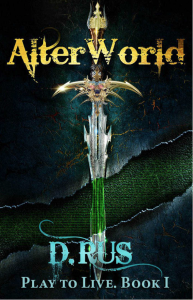 The first two volumes of PLAY TO LIVE, the cyber punk LitRPG series by D. Rus, have been sold to Netaddiction/ Italy. The series is available in full English on amazon and has started in German language published by Random House/Heyne. D. Rus was the first author to introduce into the Russian literary scifi and fantasy world this new subgenre. Once a seasoned gamer and now a terminal cancer patient, the main hero Max grasps at this final chance to preserve his life and identity. So he goes for it – goes for the promise of immortality shared with a few trusty friends and the woman he loves. Together they roam the roads of AlterWorld and sample its agony and ecstasy born of absolute freedom.